As a sociologist, I argue that structural level gender inequality also contributes to gendered experiences in isolated crews. Decades of research on mundane work groups show that social inequality and cultural stereotypes are imported, reproduced, and reaffirmed in almost every interaction. For example, in work groups we subconsciously stereotype others, and judge about their abilities based on their gender, race, ethnicity and other observable status characteristics. This happens both in newly formed, and in long term task groups – in latter, stereotypes keep influencing our decisions even if we are aware how well or poorly our teammates have performed in the past. There are barely any sociological studies that explore gender influence across different groups in isolated confined extreme environments. But secondary data from MDRS allows me to do it. To this day, over 190 crews have completed 2-3 week rotations on the site. These crews stay in the same habitat, are almost the same size, and have almost the same official hierarchy (crew roles). This gives me a unique opportunity to look how for gendered patterns across crews. In my research I use crew logs, reports, and participants’ biographies available through the MDRS website. 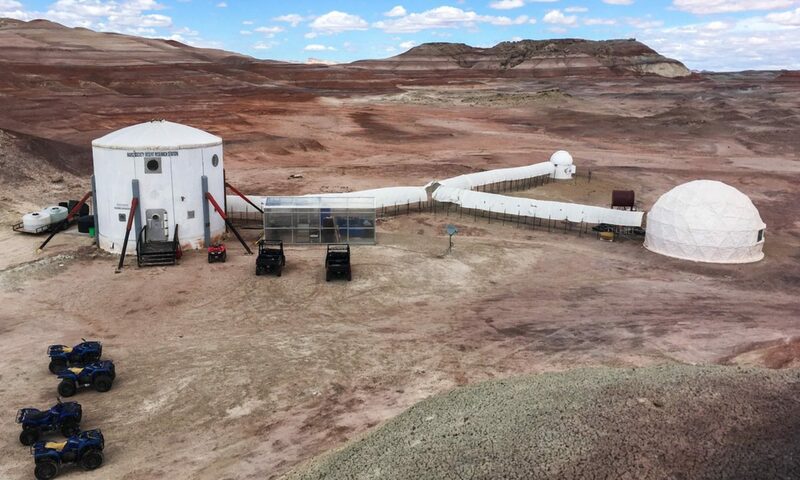 Extravehicular activities (EVAs), or simulated spacewalks, are a crucial part of Mars habitat simulation. I hypothesize that crew members who are perceived as more instrumental to the specific simulated mission, will go on more spacewalks. If we know who went on EVAs with who and who did it more often, then we can have an idea who dominates a crew, and whether there is a specific patterns across different crews. 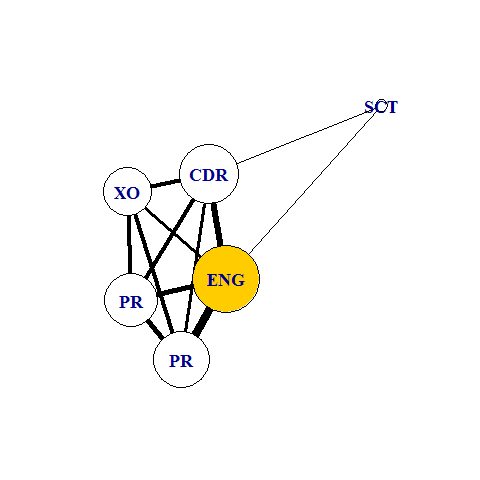 I use social network analysis to map who went on EVAs with whom and who did it more often. Each tie in a node represents a crew member, and ties between them show how often they have worked together (thicker ties means more times working together). Here is an example of an EVA map in a crew. 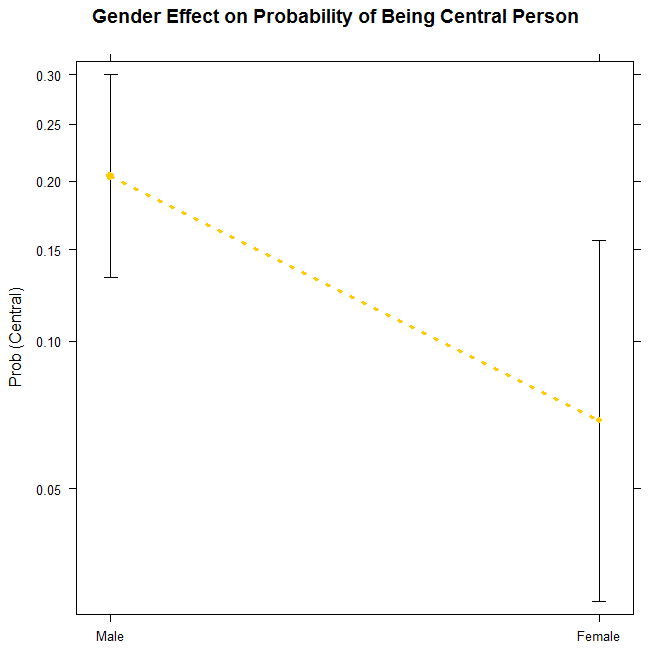 Women are yellow, men are black, the most central person is marked with ‘C’. 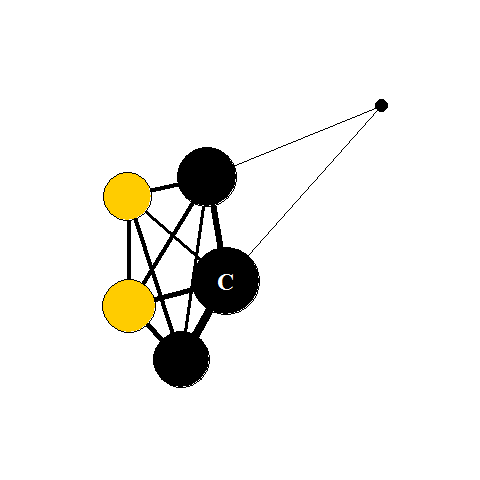 You can explore interactive EVA networks from my pilot study here. Currently, I am expanding my data set by including data from the rest of the ~190 crews (n>1000). My models will also include additional sociodemographic variables, such as education, occupation and previous simulation experience.